In the symphony of life achieving legato may be difficult. When Barbara Hedlund, an award-winning Cellist, Cello Music Publisher, and Arts Administrator, began searching for her birth parents in 1978 there was little existing support, and fewer resources to help her connect with them. Born in, and placed with her adoptive parents in central Florida, Hedlund was always curious about her origins admitting that whenever her parents would leave the house for extended periods she would search for her adoption paperwork. Like many adoptees, she waited to begin her search until she was in her late 20’s. Hedlund’ s adoption was a “gray market” transaction which was not unusual during the 1950s and 1960s in the United States. She was placed with her adoptive parents after they were contacted by the OB-GYN physician who delivered her, and her adoption was finalized privately. Her birth certificate was falsified yet fortunately contained the true details of her birth location, date, attending physician, and birth record number, information that eventually would help her find her birth family. After completing college, despite persistent questions about her birth family, Hedlund put her focus on her musical career. Along the way, she met and married her husband; a professional opera singer met during a summer tour, and became a step mother. Musical career success ensued and the couple followed their dreams. Yet, the ensuing years did not diminish Hedlund’s desire to connect to her birth family. Fortunately, Hedlund’s husband was supportive of her curiosity about her birth family and prompted her to search for them. Like symbols crashing, forces collided outside Hedlund’s control that moved her search back onto center stage. After the death of her adoptive mother, and affirmation from her adoptive father indicating his approval of a search, Hedlund felt ready to try to find her birth family. A key motivator was a desire to have children, yet she worried about giving birth to a biological child due to enduring a life of unanswered questions about her important medical history. Hedlund moved to NJ in the late 1970’s. It was there that she befriended Pam Hasagawa, founder of NJCARE and the individual largely responsible for successful passage of The New Jersey Birthright Act in May 2014 and enacted January 1, 2017. Hasagawa, Hedlund reports was her first link to a supportive adoptee also interested in searching. That bond remains 40 years later. Hedlund listed her birth details with ALMA (Adoptee Liberation Movement Association: http://almasociety.org) based in Denville, NJ; and with the assistance of Pam and several adoption search angels she found her birthmother’s full name and address two months prior to her 30th birthday. It was somewhat like a harmonic progression. Through the help of an attorney and physician to acquire copies of her adoption papers, Hedlund received a head start in her search -a birth surname. Personal computers were not yet available, so Hedlund spent hours at local libraries scanning central Florida phone and Polk directories, looking for anyone with her birth surname. 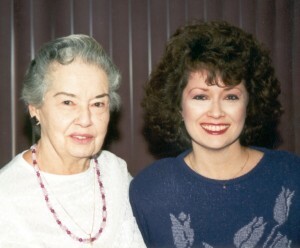 Eager to find her birth parents, in February of 1981, Hedlund wrote letters to anyone with her birth mother’s last name. In the letter she truthfully stated that as a New Year’s resolution project she was working on a family tree – while not divulging the entire story. “If I had known my full birth name, had up-to-date health information, and ethnic/heritage information, none of the research, letters and calls would have been necessary” she stated. Hedlund was performing at Carnegie Hall in NYC on the evening of the very day she received a letter from her birthmother responding to the family tree inquiry. Her birthmother’s signature matched the one on the adoption papers and she wrote, “I live alone with my five cats.” Yet, even with her birthmother’s contact information in hand, Hedlund hesitated to call. Dread of rejection, or interfering in her birthmother’s life initially left her frozen with fear. Hedlund had learned that many birthmothers from the closed period from 1940-1980 never told anyone about their experience, often were urged by agency workers or family to forget, and move on. How could she just walk into someone’s life and turn it upside down? What if her birth family did not know about her and refused to connect? How would she find her paternal birth family? There were no support groups or adoption competent therapists to assist with her complicated journey, and outside of her immediate family and Pam Hasegawa, and the ALMA group, no one understood her desire to connect with her biological family. This brief interlude ended when Hedlund called her birth mother. Hedlund recalls her birth mother’s first question was “Well tell me dear, whose daughter are you?” presuming she was the new wife of a cousin. After further discussion, the moment of truth appeared. The two verified and confirmed private details regarding Hedlund’ s birth date, birth place, and name of the OB-GYN physician involved in her adoption to ensure that they were indeed mother and daughter. The next question which followed was, “are you tall”? Importantly, Hedlund learned that after her mother gave birth to her, she did not give birth to any other children. Her birth mother stated she always regretted having to place Hedlund for adoption, but kept in touch with the OB-GYN for decades hoping for a clue to her daughter’s whereabouts. By now, Hedlund and her husband wanted to pack their bags and fly to Florida immediately. Yet, with the performance that night and her mother’s reluctance to meet, the reunion would not take place until months later. Efforts to connect continued at an adagio tempo while she called, wrote letters and mailed photos to her birthmother. Hedlund says a key component of reconnection was reassuring her birthmother that she was not angry or feeling vengeful. The tipping point came after she sent a Mother’s Day card and gift. Finally, her birthmother was willing to meet in person. Four months after the fateful first phone call, Hedlund and her husband packed their bags and flew to Florida. Sitting in a motel room in Dade City, FL, Hedlund came face to face with her birthmother for the first time since April 11, 1951. “Right away I saw an identical face, a matching personality, similar gestures and analogous interests”, remarks Hedlund. “My husband was astonished at how similar I was to her. He could not stop taking pictures”. At first, her birthmother did not confide any information about her birthfather, but Hedlund was able to meet him the very day they arrived. 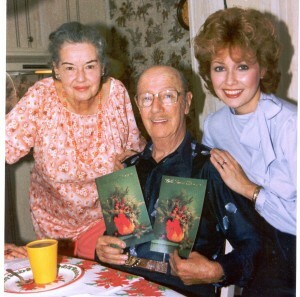 By the end of her reunion weekend, Hedlund had met her birth parents who had married after the death of his first wife. Her birthmother had never revealed her pregnancy to her extended family or friends. For many years following their first connection, her birthmother continued to keep her daughter a closely guarded secret. But that changed when Hedlund’s birthmother suffered a stroke in 1996. With her birthfather and maternal aunt dead, Hedlund knew she had to do the right thing. Hedlund confirms that her reconnection with her birth parents and other members of her biological family has been transformative. She at the very least knows her full adoption story and has lain to rest the many questions she has had since childhood. Today Hedlund remains in contact with her maternal cousin whom she speaks to several times a year and sees once a year. She believes that lack of connection to people who understood her difficult search, curiosity and interest in her adoption story made her journey and reunion experience extremely difficult and isolating. Her experience, like a well written symphony would have played with more precision if she had access to her original birth certificate. Helen is her birth mother; and Jerry is her birth father .